Take a fresh approach to your wedding ceremony and say “I do” in a park. 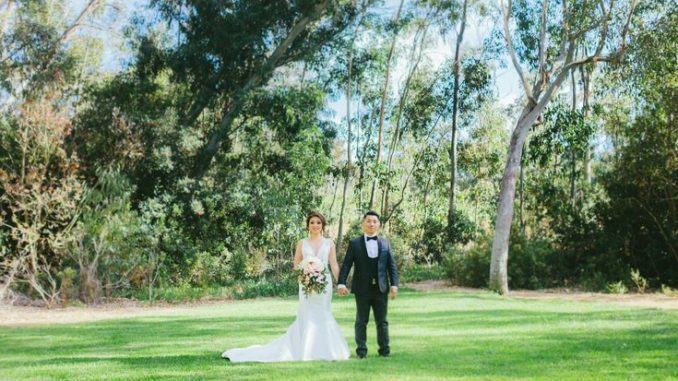 From romantic country meadows to bayfront ocean views or rustic ranchos, San Diego County Parks and Recreation has a wide array of outdoor spaces for wedding ceremonies and receptions in every part of the county. With venue fees starting at $105, SD County parks are not only a beautiful option, but a budget-friendly one, too! To tour event spaces or make reservations, contact Parks at (858) 565-3600. Venue: San Dieguito County Park is cooled by ocean breezes in the afternoon, and surrounded by stately eucalyptus groves. A wrought iron Victorian gazebo is tucked into a private and scenic area of the lower park, fitting for a ceremony. San Dieguito is a particularly sweet setting for weddings with young guests. The park has playgrounds, sports fields and lots of space to run around and celebrate love. Venue: Waterfront Park has swoon-worthy views of the San Diego Bay and city skyline. The park has several locations for a ceremony and numerous backdrops for your first photos as a married couple including the expansive 830-foot fountain which runs the length of the park, colorful public art installations, and strolling pathways through a native plant garden. Plan something small and intimate with close family and friends or extravagant with up to 15,000 guests!